After 15 days of battles, a rollercoaster of emotions … here we are: the defending Champion Mark Selby will face John Higgins, a veteran with 4 World titles to his name. Exactly ten years ago, they met in the final, and John won. He was in his prime, Mark was still very green. Now Mark is in his prime and John in the automn of his career. Ronnie was in the studio with Jimmy White, Colin Murray and Ronnie Wood, but without Dolly this time. Click on the image to watch and listen to their punditry session yesterday evening. Ding is a very nice person and I really hope he wins the World title one day. He has an awful lot of expectations on his shoulders. He’s almost a god in China, but he’s still the humble and rather shy boy I first met more than 10 years ago. The Higgins v Hawkins semi final was disappointing. Hawkins never found any sort of form and although he battled hard, never really challenged Higgins who wasn’t playing that great himself, but of course he didn’t need to. Would he have been able to up his game if Hawkins had grown stronger? Maybe. Now, how do I see the final going? Well if both play the way they did to get there, there is only one winner: Mark Selby and it won’t even be close. But I suspect that Higgins will up his game and raise to the occasion. Will he be able to beat Selby on form? I doubt it and I hope not. I used to like John Higgins, and I admire his game, but after what happened in 2010 – and, remember, I was in the media room when this NOTW scandal unfolded – he’s lost my respect. As he always does during the World Championship, Barry Hearn brought some champagne to the media room yesterday, as well as a number of important announcements. World Snooker Chairman Barry Hearn gave a press conference at the Crucible today with a series of announcements about snooker’s future. Next season’s prize money will go to £12 million. This compares to £3.5 million just seven years ago. When Hearn took over World Snooker he gave a guarantee to the WPBSA of certain prize money levels that would be hit once commercial rights were acquired. This year we are £25 million in advance of those guarantees. At the end of next year’s Q School we will launch a Challenge Tour. This will be a series of ten events available to players who have shown ambition to be a professional snooker player by entering Q School. The winner and runner up will get a tour card. For the first time in the history of snooker we are abolishing entry fees for ranking events. Once you own a tour card, that membership gives you the right to compete in events. Entry fees were once a key part of our income, but this is no longer the case. We will write off the £500,000 we previously received from entry fees and this will save every player £4000-£5000 a year. This only applies to tour players. Prize money is going to £12 million, and there will be increases in the early rounds of tournaments. This year’s World Championship prize money is £1.75 million with the winner getting £375,000. Next year it will go to £1.968 million with the winner getting £425,000 and in 2019 the prize money will rise to £2.25 million with the winner getting £500,000. This is a statement to show snooker is a major sport. A major new deal has been agreed with CCTV, China’s national TV station, for the next ten years. We are currently in discussions about fundamental changes to the prize money structures in China. We will not be having more than five events in China, but those events will have significantly changed prize money structures. This comes as a result of people asking if the World Championship should move to China, and we kept it in Sheffield because of the history at the Crucible. But China can create history, and we will support that. Our next target is to see £15 million of prize money, and then to hit £20 million. We will continue to maximise the commercial value of our sport to maximise the reward for players. Abolishing the entry fees is an excellent move. It will definitively make playing on the main tour more affordable. The cost of it has been a real hurdle for a number of young aspiring players whose families were not in a position to support them (enough) financially. The Challenge Tour is good news too, however I’m not sure that restricting it to players who have entered the Q-School is ideal. Why not open it to all amateurs who have entered an event that carries a tour card opportunity? I’m thinking amateur World Championships for instance? Increased prize money in early rounds is moving in the right direction: you can’t base a global tour solely on the top 16. 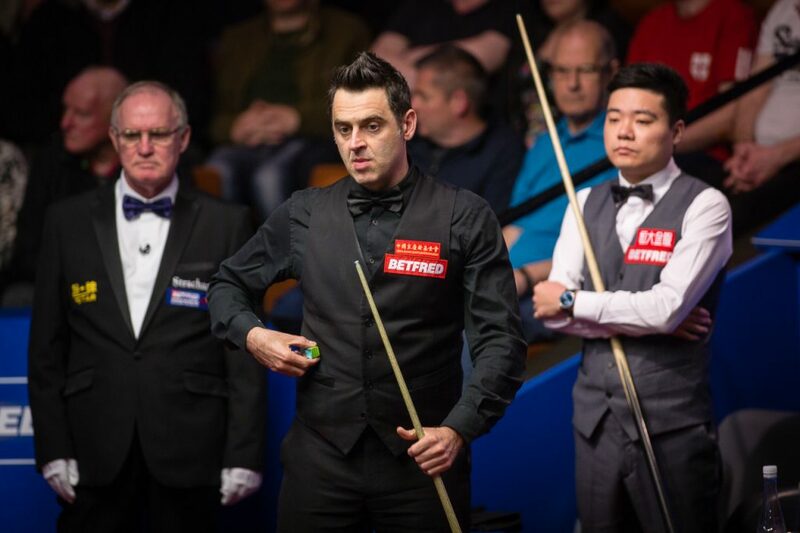 Ronnie’s run at the Crucible this year came to an end, as he lost by 13-10 to Ding Junhui. It was a very high quality match as the following statistics prove: there were 23 breaks over 50 in the match, 10 by Ronnie, 13 by Ding, with only one frame not featuring one. Between them they had 5 centuries, 128, 120 and 117 by Ding, 104 and 146 by Ronnie. This 146 is currently the tournament high break. 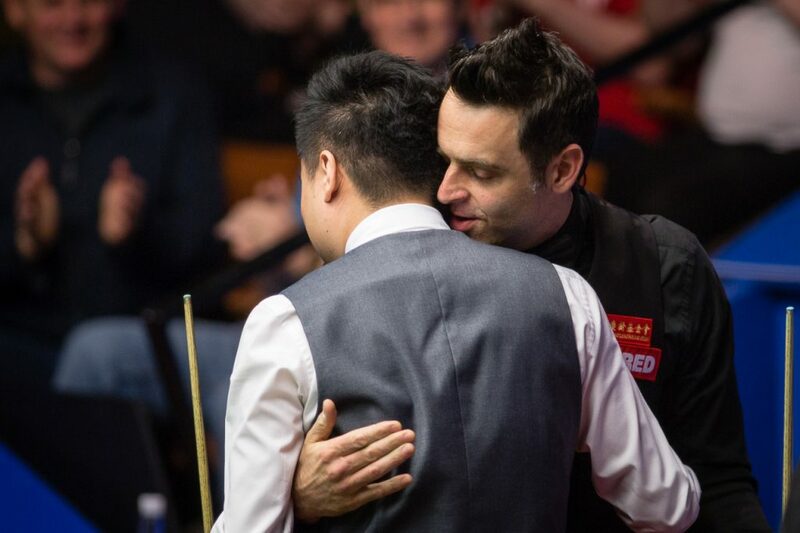 The match was played in great spirit, Ding and Ronnie are close friends, and, despite the defeat, Ronnie enjoyed it. 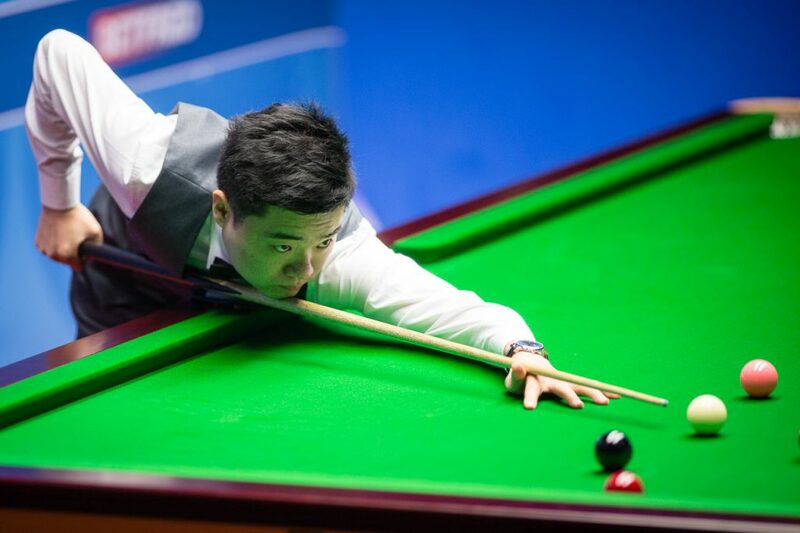 Ding did the damage in session two: he played incredibly well in that session, his long potting was extremely reliable, his safety rock solid and his break building close to perfection. During that session Ronnie was outplayed, and very sportively, applauding Ding’s best shots whilst stuck in his chair. In the first and third session there was very little to separate the players, Ronnie being marginally the better one. The win for China’s top player ensures a third Crucible semi-final and sets up a repeat of last year’s final, where he lost out 18-14 to Mark Selby. The Rocket’s bid to win a sixth world title and draw level Ray Reardon and Steve Davis will have to wait for another year. However, despite not lifting the sport’s biggest crown, he can reflect on a season where he made history by clinching a record seventh Masters title in January. O’Sullivan said: “As I was coming off it felt really emotional. I’m quite an emotional person anyway. It was nice, he’s a special lad and a beautiful guy. I know his family really well, so I know he comes from a good stock, he hasn’t got a bad bone in his body. He wants to win this title so bad. Ten years on from our match at the Masters where he was in tears, he’s hugging me and beating me. Last time it was me beating and hugging him. It’s a decade on and he’s in a great place, I wish him all the best. Andy grant, world record holder 10k amputee. Great documentary on Wednesday. Paragon. 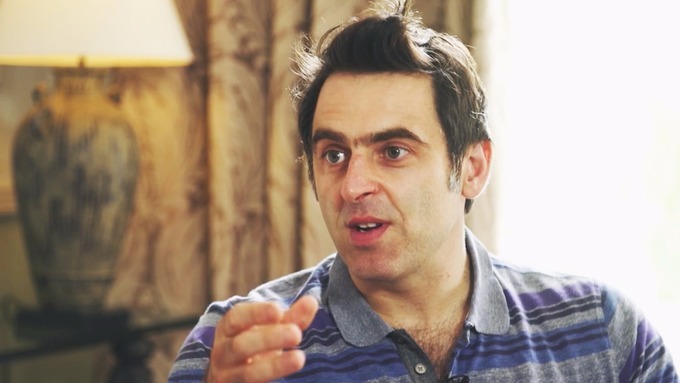 Ronnie O’Sullivan says he uses running rather than anti-depressants to give him a release from pressure and anxieties in a new ITV documentary. 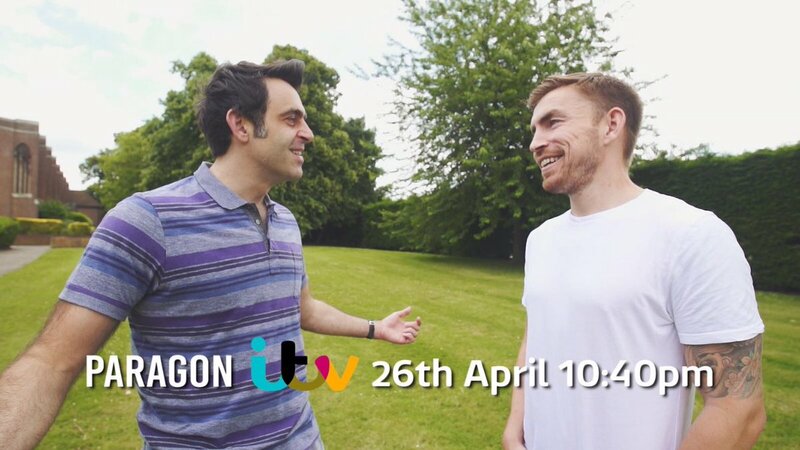 The snooker legend speaks in PARAGON (ITV, 10.40pm Wednesday) which focuses on the story of Royal Marines Commando Andy Grant, who was on patrol in Afghanistan when he suffered 27 injuries after an IED was detonated. After undergoing the amputation of his right leg, he sets out on a journey to become the world’s fastest amputee over 10k. In the documentary he takes advice from icons like Ronnie, Jamie Carragher and Scott Quinnell. The programme documents Andy’s story in Afghanistan, the injuries he suffered, meets the surgeon who amputated his leg, Andy talks about his road to recovery, and it shows the advice he takes from friends and icons like Jamie Carragher, Ronnie O’Sullivan and Scott Quinnell, along with the training and the run itself. I wasn’t particularly impressed with Mark Selby’s form up to now, but then, 1. I didn’t watch every ball he played, in fact I probably watched his worst session, the second of his last 16 match, 2. he did more than enough anyway and we all know how he can up his game when he needs to. Regarding Marco Fu and Neil Robertson, very little if anything separates them, and the current 8-8 scoreline reflects exactly that. Do they play well? Yes. Do they look unbeatable? No. So what do I make of this match? Well this will be the one revealing exactly how sharp Mark Selby is. If he is on form, there is only one winner, the defending champion. Between Marco and Neil I feel that, on form, Marco is most likely to cause Mark Selby problems. Predicted winner: Mark Selby. Tai is the assistant press officer at WPBSA and in charge of media when it comes to the Chinese press. Hector is a journalist I respect totally for the honest way he covers the sport. When I first read the article I was nonplussed: this is indeed not at all like the Ding Junhui I know. But going by this twitter snippet, it seems that the editor didn’t think that Hector’s piece was catchy enough and added some spice of his own… I totally loathe this type of press, and such twisted articles were the reason I started recording the players pressers. Fans form an opinion on players based on the image the media give of them. Most members of the media I met are great guys doing their job properly, but I’m afraid it’s often the most sensationalist ones, the tiny minority, who catch the general public attention. And it sticks to players image for years. Shame! We are two days and a half into the last 16, with two more days to play, and here is how things stand. We already know 4 of our 8 quarter finalists: Ronnie, Ding Junhui, John Higgins, Kyren Wilson. In the qf Ronnie will play Ding, Kyren Wilson will play John Higgins. I have already covered the Ronnie v Shaun Murphy match and I want to stress again that despite the previous comments and the needle, Shaun was very gracious in defeat, both in his postmatch interview and on social media. I can’t really comment on this one as I didn’t watch it … Going by the stats it was a good match too. I didn’t expect Kyren to win it, not because he’s not good enough, but until now he didn’t have the best of seasons, lots of up and downs, and Stuart is a more experienced player. He will now face John Higgins. Can he beat John? Most think it’s unlikely, but you never know. The pressure will be on John, he’s the one expected to win, that might play in Kyren’s favour. And one thing Kyren doesn’t lack is bottle when it comes to the business end of an important match. Just remember how he held himself together when he won his first raking title, the Shanghai Masters 2015: he beat Judd Trump in a decider having been pegged back from 7-3, 8-4 and 9-7 up.